Many people prefer to use anti-bacterial soap thinking that such soap will do good to them as well as their children and protect against bacteria. However, the fact is that anti-bacterial soap does not have any good property, as the impression has been created in your mind with their advertisement. Instead of that, if you use any natural organic soap that will not only keep you fresh but you will remain free from any kind of harmful bacteria too. Most of the anti-bacterial soaps that you can get in the market contains certain chemicals that may create itchiness, irritation, and soreness. Some people may not experience all these however presence of chemicals can make your skin dry too especially during winter months you may have skin cracking. Any organic and natural soap like Stone Clean Soap are made without using any chemicals or pesticides and it can clean your skin and also maintain moisture in your skin. As far as anti-bacterial soaps are concerned, FDA too has declared that no evidence has been found on these soaps that they can counter bacteria. 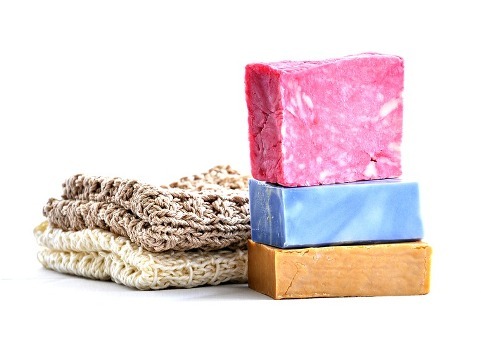 They have found that most of these soaps contain chemicals like triclocarbon and triclosan that are supposed to be harmful for our skin and should not be regularly used particularly for young children. No evidence has been found that these chemicals are safe for us. As a matter of fact, most of the manufacturers of such anti-bacterial soaps have already started closing the production of such soaps. As compared to that natural soaps are very good alternatives to this kind of soap for your family. We can say that these organic soaps are cruelty free because they are never tested on any animal before launching them in the market. In fact, it is directly tested on human body to make sure that it is suitable for the sensitivity of human skin. People who use such organic soaps find it to be gentler on their body and even people with very sensitive skin remain totally unaffected. It also suits children very well. Children also love to use these organic soaps because it does not make them uncomfortable after using as it could happen with anti-bacterial soaps. It keeps your body to get moisturized and also your hand remains soft. Even those people who may be suffering from eczema condition find these soaps to be quite useful to them. All the ingredients of such soaps are herbs and natural plants and there are no chemicals or pesticides present in these soaps. Therefore, your family and children will never be exposed to any kind of unnatural chemicals by using them. These organic soaps contain few natural oils which has anti-bacterial property therefore there is no risk of any synthetic chemicals. As there are no presence of any chemicals or pesticide during their production, there is nothing that will pose danger to the environment.